Cecilia N. Brennan is a senior attorney with the law firm Roseman Law, APC, in its San Diego office. Ms. Brennan’s practice has most recently focused on the representation of commercial and residential common interest developments. She has assisted clients with a wide-range of related matters, including board governance, contract drafting and analysis, FHA/HUD condominium certification and re-certification, governing document drafting and analysis, policy enforcement, federal and state law compliance, administrative hearings and procedure, and litigation matters. In addition to this experience, Ms. Brennan brings over ten years of experience in various areas of legal practice, ranging from non-profit, corporations, and municipal law, to housing, land use, and planning law. Ms. Brennan is an active member of the Legal Advisory Steering Committee of the California Association of Community Managers (CACM) and is a member of the San Diego chapter of the Community Associations Institute (CAI). She has been a featured author and speaker for various industry publications and educational events. 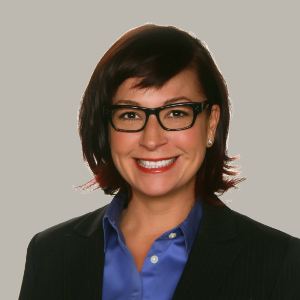 Ms. Brennan has also been active within the diverse San Diego legal community, as a current member of local county bar associations and former member of La Raza Lawyers Association, Latinas in the Law, and the Lawyers Club. Being bilingual, Ms. Brennan is also able to handle matters involving Spanish-speaking individuals. Ms. Brennan earned her bachelor’s degree from the University of California at Los Angeles (UCLA), and her J.D. from UCLA School of Law, with an emphasis in public interest law and policy. Prior to pursuing her J.D., Ms. Brennan developed extensive experience in the public interest, including community economic development and non-profit management. As part of this work, Ms. Brennan co-founded two Los Angeles-based non-profit organizations focused on educational equity and community development, respectively. On a personal note, Ms. Brennan currently sits on the Advisory Board of a San Diego-based nonprofit organization dedicated to finding policy-based solutions to homelessness. Ms. Brennan is also an avid supporter of music and arts, especially in education. A long-time advocate for children and youth, Ms. Brennan will always lend a hand to a young person in need.